The Fujifilm GFX 50R is a 50 megapixel rangefinder-styled medium format mirrorless camera. 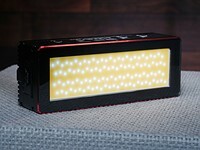 It shares most of its components with the existing GFX 50S, including both its sensor and processor, but re-arranges them into a slightly smaller and less expensive package. And though the GFX 50R provides essentially the same image quality as its elder sibling, the handling and controls make for a very different shooting experience. The Fujifilm GFX 50R is available now with a recommended selling price of $4500. Alongside the announcement, Fujifilm also added a 40mm-equivalent 'pancake'-style 50mm F3.5 lens to its lineup. This lens hasn't arrived as of this writing, unfortunately, but should pair well with the (comparatively) compact 50R body. The GFX 50R contains many familiar ingredients but what's new? The GFX 50R has a different body style, how does that impact the handling and operation? Check out how the GFX 50R performs in front of our standard studio test scene. The GFX 50R's sensor is excellent but so are those of its full-frame peers. Even in a high dynamic range scene there's little real-world difference. With a contrast-detection AF system and 1080P video, the GFX 50R isn't a barnstormer in these areas. But then again, it's really not meant to be. The GFX 50R is capable of incredible detail, but there may be other better-rounded options out there better for you and your style of photography. Take a peek through our full production sample gallery from the GFX 50R. See the full list of the GFX 50R's specifications. It's all very well for dpr saying the best full frame is virtually indistinguishabe for quality, but my GFX50s gives me results that thrill, far beyond anything I expected, I'm not inclined to go and buy a D850 just to check it out , no way I'd go back. "And most important of all (i guess) it gives you more joy to shoot with the fuji instead of a ff dslr...."
Really? Why would that be? Is the operation so much different (like in comparison between for example a Leica M rangefinder and a DSLR or MILC)? Dpreview is mainly a photo gear site,. so logically it goes mostly about the specs and differences between which are related to the usage and end users. Don't forget a camera is just a tool. "a camera is just a tool" so true, except, for most people discussing this stuff like it matters, the tool they probably need is a smartphone. I'm a pro wedding photographer, but not really a pixel peeper, and I have no need for medium format. But I find this review somewhat unfair. The image files clearly show the images are sharper then FF cameras (quite a bit sharper despite the wording). 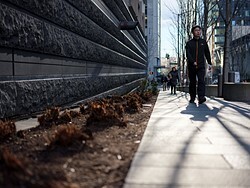 That additional sharpness is probably unnecessary for 99% of folks, but it is what people buy MF cameras for. It's a niche. And within that niche the frame rate and AF speed and cost of this camera are all highly competitive (to say the least). It's kind of idiotic to compare it to a FF camera disparagingly regarding those issues as the camera is aimed at a different type of customer. It seems that those negative comments could be aimed at any MF camera. This review just proves that DPR should not be reviewing cameras. MF is not a sports camera, so why bring up the slow FPS and "terrible AF" the AF is better than any other MF camera on the market but maybe not so fast as a 1DxmkII (it is relative)? Oh the video options... who buys MF to do video? 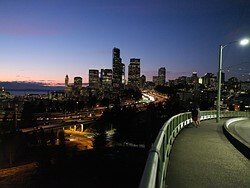 As for the example shots the Fuji cleary has more detail and cleaner shadows. The portrait shows one very good reason why MF is superior for some types of photography. "Exposure on the Fujifilm was set to ISO 100 and F8, the same as the Canon EOS 5DS R" and the EOS clearly show less detail, diffraction... which makes comparing these bodies a bit silly. Just review the camera based on its likely useage. A medium format camera is a classical fashion photography tool, and AF and responsiveness are very important there. And I don't agree to your verdict that the 50R, and the 50S for that matter, has the best AF of any digital MF camera. "MF is not a sports camera, so why bring up the slow FPS and "terrible AF" the AF is better than any other MF camera on the market but maybe not so fast as a 1DxmkII (it is relative)? Oh the video options... who buys MF to do video? " Also, almost any other MF camera on the market has a larger sensor than this 44x33mm one, making it more comparable to FF cameras which are much better for AF and video. By the way, no one bought Fuji cameras for video until they improved the video specs in the X-T2, X-H1 and X-T3. The GFX100 is also expected to be a big improvement over the current GFX cameras regarding video capture. Arcimboldo I shoot models with a couple of gfx50s cameras all day long and have no problems. If you shoot people and static things its a no brainer it literally changes your photographic expectations. I probably wouldn't use it for weddings though. Must agree, MF is very well known not for anything that is moving. 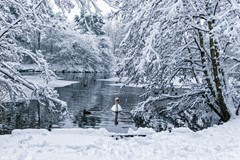 But when it comes to dynamic range, details and large prints there is nothing near to this at the moment. When one buy an MF body, that person knows that he won't shoot football and so on but tremendous and thrilling landscapes. 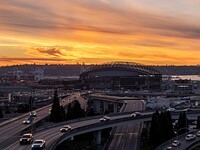 "As for the example shots the Fuji cleary has more detail and cleaner shadows. " well there is comparison on this website which proves this expected result is not true in real life. Why compare it to a 1DX II? Neither does it compete with this Fuji system, nor is it a benchmark for fast and accurate AF. @Neilyb your first sentence kills me hahaha. Fully agree. Maybe EOS RP review will have sony RX100 and nikon P1000 as competitors. Maybe they will throw in a Phase One too because RP does bad video and they want to compare video and AF. The world is the limit. @Bigsensorisbest: This was more directed towards Neilyb who to my understanding suggested that accusing a MF camera of having 'terrible AF' is kind of besides the point of that kind of camera - it isn't at all. That being said, it goes without saying that you can work around possible shortcomings with enough practice, so I won't doubt a second that you can work efficiently with your 50S. Again, that being said, I had less problems with the Phase One AF. These canon fan comments are funny. Or you just dont get the difference. In that case, i am sorry. Come back when you learned something. I guess Dpreview also doesn't get the difference in their real world comparison on page 5. Quote: "...the differences are difficult to recognize unless compared side-by-side at pixel-level." Maybe you know more than they do? @Shiranai the DPR don't get the difference to X1D / H5D either. So if something is no different to EOS R and no different to X1D that means that EOS R is no different to X1D. Profit! Seriously this review and samples seem to have been created by someone with no eyes at very least. Shirania sold two pro canon bodies and a pile of ef lenses for gfx kit and haven't regretted it for one second. So you expect this a medium format camera to shoot sports and record videos? My car has more cupholders than a Ferrari. Looks like my car wins. If GFX had a 30mm prime, and I had $10000 CAD to spend on body and lenses, then certainly the 50R would be my choice. 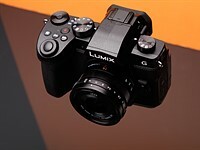 It's the only option for a weather-sealed, rangefinder-styled, interchangable-lens camera with 4:3 aspect ratio sensor. I would like to know how suitable this camera is for street photography. How loud is the mechanical shutter? Is there a distance/DOF scale on the EVF/LCD when manual focusing? Ha ha… You guys have surpassed yourselves with this review. Hmm... there have been people photographing birds with large-format cameras so this verdict isn't as much stating the obvious as you seem to think. Most of the people on this forum NEVER used a medium format camera in real life while you are chatting on this website without proofs. How do you even know that FF is quite similar to 50mp medium format camera with your own monitor? Most of them are 2k or maybe 4k lol. Medium format is a totally different camera then you think. This is why people shouldn't comment on anything without using an actual medium format in real life because they know nothing. Not gonna print bigger? Why do you care about the medium format for? Me? I've been using it for more than 4 years with Phase One and Fuji. Without proof? Did you actually read this part of the review? There is literally a comparison which proves that the differences of medium format and a close-to-50MP full frame are almost invisible. Shiranai/ lol that's why I mentioned monitors that people use! Do you even sure you are looking at the right image? First of all, I don't trust any review sites unless I try and shoot in person. If you think that comparison is proof, then too bad. What does it have to do with your monitors resolution if you compare a 100% crop of these images. 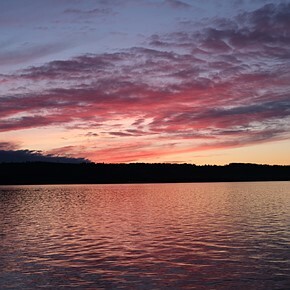 @Shiranai I looked at the link and the Fuji images were clearly significantly sharper. Probably not just due to the sensor being larger, but also the lenses. If you can't see a difference I guess this camera's not for you (it's not for me either as AF speed and FPS are more important for what I do). However, that doesn't mean it's not a good camera for people who desire the best IQ they can get under £10k. Gosh, these guys know nothing and yet putting wrong information instead of using them in REAL LIFE. Really like the Fuji color signature. I just heard on the MF Board that my favorite Fuji-loving author wrote the review of the 50r. I just dropped 14 grand on GFX gear with much more to go (and I love it) so I'm afraid to read the review since I am well aware of DPR's negative leanings regarding Fuji GFX. Trust your own judgement. I've read many a DPR review I don't agree with, 'yay' or 'nay'. Does the GFX view finder not have lines that allow you to at least get level horizons? They may be medium format, but nobody will notice that. I can't help thinking that this pretty camera is the micro-medium-format (µMF) equivalent of the Canon EOS RP in full frame. The formula is the same: put a well-outdated sensor into a compact body with cut-down features and a low price. Using that comparison, the premium for going MF is 350%. For which you get what DPR describes as "cheap and cramped-feeling controls" with an IQ increase that might be clear over the RP but in relation to a better FF body DPR describes as "somewhere between slight and non-existent". Is it an introductory stepping stone to 100 MP µMF, in the same way as an EOS RP is a stepping stone into Canon cameras to come? Possibly, but I can't see many people who are able to afford $10,000 bodies needing an introductory stepping stone. DPR may say the difference is "somewhere between slight and non-existent", but when you look at the samples the difference is quite clear and significant. Trust your eyes, but if FF or APS or m43 is a better fit for you, then save your money. Compared to what exactly? Are there many better medium format sensors available out there? Or at least sensors that give superior image quality? If not, then how is it "well-outdated"? I don't own the GFX system, but I can see what it can do and I fail to understand where people get this "outdated sensor" ideas. A little off topic kind of. But we are comparing full frame format to medium format. Why don’t the manufactures give it up all together and start giving us cameras that have circular sensors? The lenses give an image that is a circle not a square. Let us decide how we are going to crop it for the final image whether we want a square or a rectangle or the original circle. 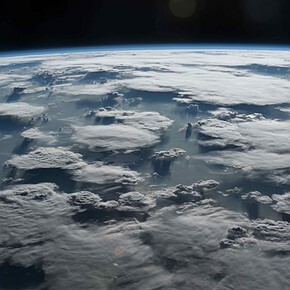 We don’t see the world as a rectangle why limit our creativity? Also, human vision is only circular if you look through one eye. We have binocular vision so effectively we have a horizontal format view of the world. Which is why it feels a lot more natural to view widescreen cinema, or to look at a 16x9 format computer screen, rather than a square one. And is it really that difficult to rotate a camera? Because circles don't fill the plane, thus a circular sensor would mean a lot of the silicon wafer is wasted. Besides, your computer screens and your picture frames are rectilinear, so you'd be cropping the circle down to a four sided shape anyway. A hexagon would work. Hexagons actually fill the plane more efficiently than rectangles, (fewer cuts for the same amount of sensor real estate). But same problem as with the circle; your computer screen isn't hexagonal. Enter the square! The square would be the ideal image format. No more rotating your camera to take a portrait image. For me, that's reason enough. Want 16:9? Crop to that size. Want 4:3? Crop to that size. All of those formats and more are already contained within the square. Maximum usage of the image circle while still fitting into our rectilinear world. What's the quickest way to increase resolution without increasing the image circle? Fill that image circle with a square rather than a rectangle. Ahh I see. Well then give us a square format. I don’t understand why Hasselblad hasn’t done that yet. fusoexplorer - Probably again because of the much greater cost of producing a larger sensor (circa 50% greater sensor area). And also because the square format only came into existence because the early TLR cameras only had waist-level viewfinders, making it impossible to rotate them for different aspects. Once eye-level viewfinders (in SLRs and DSLRs) became popular, the square format became redundant, as it is so easy to rotate the camera. Nowadays, with huge megapixel counts, it's even possible to take a square or vertical crop from a horizontal sensor, and retain high image quality, so the square format makes less sense than it once did. So basically you're paying more than twice the cost of a FF camera, and gaining nothing but extra weight? entoman are you saying that quality = megapixels? DrewRick - No, what I'm saying is that a Nikon D850, Canon 5DSR or Sony a7Riii can deliver the same image quality as a Fujifilm 50R or 50S, but the latter is much more expensive and a lot heavier (with lenses attached), so it's a bad choice. 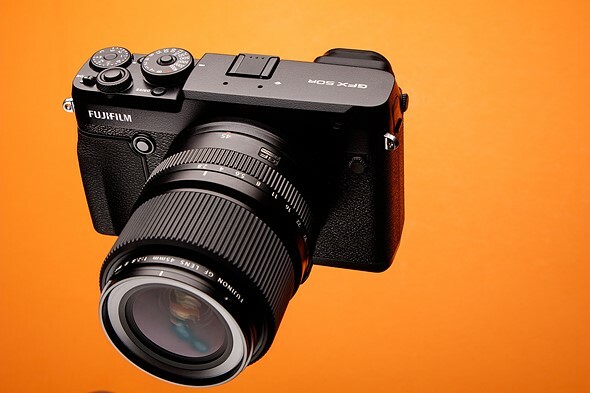 ... and I'm saying that the only way to get image quality that is better than FF is to spend a ludicrous amount of money on a 100MP Fujifilm, which very few people could justify, even if they could afford it. "Quality" is about a whole load of things, including specifications, AF performance, metering accuracy, ergonomics, megapixels, dynamic range, durability. I hope that clarifies my opinion. Entoman, You can say, "...a Nikon D850, Canon 5DSR or Sony a7Riii can deliver the same image quality as a Fujifilm 50R or 50S..."
But when you say it, you are wrong. I guess you never used a medium format in real life. @Greg, you keep on posting the link to your flickr photos with the Fuji. It is ok to be proud of ones own photos and I don't want to sound disrespectful, but I don't have a "wow, that must be MF" feeling when I watch the photos. I mean "wow" in the way, that this is something FF cannot deliver... besides resolution maybe. The fun part is that you can actually adapt those cheaper FF lenses to use on GFX cameras. Don’t mind Greg he is an unreasonably biased Fuji supporter. Having used both the Hasselblad MF and Nikon d850 and Sony a7riii I can say that you have to compare the images at the pixel level on a large 4K screen in order to really discern the difference in quality. The only situation that will provide a benefit is for massive printing and that difference even at that level is minimal. We are also talking perfect studio conditions needed to achieve this minor separation in quality. There is some small benefits to pro studio photographers but to an enthusiast, you’re getting a one dimensional camera that the vast majority will not be able to squeeze that little bit of extra out of. @Peter I don't think it should be a "wow" type of difference. The sensor is 68% bigger, so all things being equal, you'd expect about 68% more real world resolution in good conditions, that's not a huge difference and wouldn't matter to many people. As the Fuji system is relatively new, I suspect the lenses are all very high quality as well, so that will make a big difference. 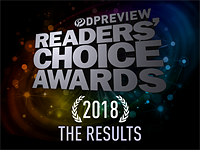 When I look at the images on the DPR comparison about 68% is the difference I see, which is only noticeable when pixel peeping. But that's what people buy MF cameras for. lili23 - Actually I've used every format from half-frame up to 20x16" sheet film professionally, so I understand extremely well the *theoretical* advantages of a larger sensor (potentially higher resolution, increased sharpness, better tonality / dynamic range. less amplification required so less noise, etc etc). BUT, dpr comparison images *appear* to demonstrate that a top notch FF sensor can equal a MF sensor (of equal megapixel count and similar age, and allowing for differences in sensor design). Your images do not stand out and do not extend that of an APS-C camera either. One can make better images with a Fujifilm X-T3 then with your GFX. Your images look almost alike. I any of your images In none of your images you can see where the GFX would excel over any other format. Sorry to say - But the truth can be hard. Duncan, I am heartbroken. LOL. Please provide a link to your work. Don't worry, I would never say anything negative about it. I never, and I mean never, criticize other photographer's work. I only complement it. I have never once in my life said anything negative about a single image that any other photographer has ever taken. But I will say this. I doubt if in the two months I have owned GFX gear that there is a single image I have taken that could not have been taken with my XT-3 or XH-1. You probably would not notice much difference unless you were sitting next to me looking at the raw on my 4k very large pro editing monitor.... But it is a lot of fun shooting the GFX. And the res is pretty awesome. Pay no attention to my bad photography. Go try shooting with a GFX and see what you think. But I'm with you. I sure do like my Fuji APSC gear and those fantastic XF lenses. Greg - Great reply! Enjoy your photography. “Entoman, You can say, "...a Nikon D850, Canon 5DSR or Sony a7Riii can deliver the same image quality as a Fujifilm 50R or 50S..."
The replies you’re getting are based on your comment. You yourself admit to the very thing that they are stating which is that you need to look at his on a large ultra HD screen just to discern a difference. Having done the same I can say that even then it’s barely noticable when compared with other comparable top end FF sensors using high quality lenses. One thing I have to ask, why do your compositions often times resemble that of DPR’s sample galleries? It’s almost as if you are focusing on taking photographs that attempt to show off the technical prowess of the camera and lens and not the ability of the photographer. You even make a point to let everyone know in your album titles that you’re using the GFX. I don’t think your photography is bad and I’ve even commended it in the past becaue I think it does show what your gear is capable of in the hands of an enthusiast gear focused photographer. You did a great job in showing that there isn’t much difference between the image quality of the GFX and other comparable high end FF cameras. In fact I would even say that you do more for the XF line as your galleries for that system look to be on par and even more impressive than this one. Kudos and thank you for letting us know that the GFX’s powers are going to be mostly wasted as a walk around street camera. Guys - Let's all calm down and stop trying to wind each other up over a bit of gear. I don't believe, based on what I've read, and on the photographs and comparison scenes that I've seen, that the GFX offers any advantage in terms of image quality over a good FF camera. But that's missing the point to some extent. All that matters is that we are satisfied with the images from our cameras for our own individual purposes. And that we *enjoy* using our cameras. If Greg enjoys using his GFX, as he clearly does, that's absolutely fine. Likewise with those who choose FF, APS or M43. ...the difference in image quality between (Brand X) full frame camera and the "crop sensor" peers (some of which have more advanced sensors) is somewhere between slight and non-existent. This means you pay an awful lot of money for marginal gain. Only of they have some technology that helps close the gap (and the gap between APS-C and FF is twice as big as the gap here). Though, even with a gap, there'll be a point for each individual from which any additional spending will yield diminishing returns. The gap is similar to the gap between µ4/3 and APS-C. I wish DPR would make a point of describing that gap as "somewhere between slight and non-existent". TN Args, you are incorrect. The gap between MFT and Fuji APSC is very large. The gap between FF and Fuji MF is also large. Richard, I haven't read the review yet. But that comment you just made is why I have rarely agreed with anything you have ever written about Fuji. You said, "The gap between APS-C and FF is twice as big as the gap here." No. That is not correct Richard. Not even close. Your bias continues to astound me, as it astounds Fuji. Greg, I am quoting DPR on the difference. Take it up with them. I am just asking them to be consistent and apply the same comments to µ4/3 and APS-C.
TN Args - No offense. You are a solid poster. Don't worry. I just went all-in on Fuji GFX knowing full-well DPR's anti-GFX bias. For some reason, they just don't like it. That's OK. I know many top pros who don't believe DPR when they continually preach that these FF systems are just as good (IQ-wise). They don't believe DPR and are aware of the bias. What they believe is looking at the results of what they shoot with their GFX. Me? I don't believe DPR on this point either. But I'm not a top pro. @ Greg - Actually the gap is approximately twice the gap between APS-C and 135 as it is 135 and 44x33 ‘MF’. No point in arguing it with someone who clearly just invested a lot of money in this ‘MF’ system, that makes you absolutely biased. Obviously this differs if they use different tech, which can sway things approximately 1/2 stop towards either side. All-in-all, seems like there's little reason to go for medium format at this point in time unless you really the love feel of handling Fuji cameras. Fuji's lovely JPG colors are a trivial factor as everyone will be shooting raw to maximize the benefits of shooting medium format. Price, lens selections, third party accessories, weight and bulk, and performance are huge factors to consider that Fuji still needs to overcome to take medium format out of the niche market.
" the difference in image quality between the Fujifilm and the best of its full-frame peers (some of which have more advanced sensors) is somewhere between slight and non-existent. This means you pay an awful lot of money for a marginal gain." I've been saying it for a while, Medium format is mostly a marketing gimmick at this point and until it offers the functionality of a D850 or A7Riii, it will be an overpriced gimmick at that. The next generation GFX will offer 100MP, which will offer a significant resolution benefit over this current generation. It will also have on-sensor phase detection, which should reduce the AF difference to some extent. It's not a gimmick (and the lenses are very, very good), it's just that this model doesn't show as much advantage as there can be. @thenoilif, this a world record of how clear one can state "I'm about 900% not the intended target for this product". "it's just that this model doesn't show as much advantage as there can be"
None of the existing models do. Its interesting that you have to bring up a model that isn't available yet to make your point though. As I said, at this point its a gimmick especially since the top high mp FF models are able to exceed MF resolution through photo stacking. You just don't get what MF is about. FF exceeding MF by photo stacking? Really?? Is that what you think this is all about? Do you think high end pros all over the world are getting fooled and burning cash on MF because of gimmicks? I'm trying to be polite, but I'm having a hard time. How many high end pros pay for their gear? You think Annie Lebowitz paid for her Hasselblad? Yes and I would say most if not all pay form their gear. Sometimes you rent stuff, but the ambassadors, brand spokes people are rarely in the upper echelon of the perception of absolute high end old school photographers (references for the fashion world would be Conde Nast or Hearst publications, or any worldwide brands owned by LVHM or Kering). The one exception I'm aware of is Peter Lindbergh, who's getting (some/all??) his Nikon for decades. Ask pro shops in NYC, LA, Paris, London. Wow, so many of you guys really don't get it, do you? Fine, you are not the target customer. The same with Leica, or film, or monochrome sensors. You are not the audience. You don't have to understand or be interested. kodakchromeguy - you may be right. But equally, there's also the concept of post-purchase rationalisation, by which people convince themselves that their purchase was justified. Even if they can't quite demonstrate why or how. 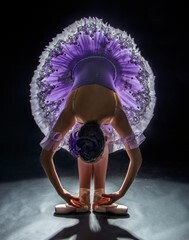 I use the GFX in a studio on a light stand, shooting still life advertising. It's great for that, but go macro, or if the studio starts to get a bit dark, wow, is it ever hard to focus. The current GFX processing is slow as molasses. if I understand properly, the new 100 will bring 4x the processing power, which should help make focusing in the studio as reliable and easy as focusing the Leica SL or similar mirrorless whose underlying premise is speed. I hire commercial pro photographers for a notable publication. I get free gear and I know they do as well. They may buy a lens here or there but the bodies are often given to them. Its a lot more common than you think. "it can appear that everybody else 'just doesn't get it." How pretentious of you. Fact is I get it. I understand consumerism and how the consumer electronics industry works. Marginal improvements in tech being promoted as giant leaps is marketing gimmicks 101. There is also a human condition called 'ego' and companies use this to get people to buy "the best" things that they don't really want by making the latest product seem like it will change their lives. MF is one of these marketing ploys at the moment. You yourself said that the 100MP camera will be that difference maker so once that comes out we will see if MF finally delivers on the promise of significant difference in IQ to warrant such a massive difference in price. By throwing around mass marketing rules, we are placing this in the real of mass market which is the bread and butter of DPR after all. While MF does have its advantages for very specific pro work, its being pimped as something more general, therein lies the gimmick. The Noilif at it again. It's an old, tired story and has been played so many times. The Fuji-haters come out of the woodwork when Richard writes a Fuji review, especially if it is Fuji GFX. I have a list of the top-8 Fuji haters. Guys who go to great extremes to drop bombs on it whenever the opportunity presents. Noilif is high up there. Like Number three. I guess you never used a medium format camera. Even Phase One P50 is way better than Sony A7R3. Haters are only haters to brand cheerleaders. The canon cheerleaders cry out at every DPReview review that DPReview hate Canon, and the Sony cheerleaders go on endlessly to defend the horrible ergonomics of their cameras. The Fuji cheerleaders go endlessly on about how the shutter speed dial that must move to T mode and use the sub dial to access all speed is either not psychotic, or is reminiscent of the past and that if you have problems with it you've probably never used a camera before the digital era. All of it is cockamamie cheerleading. Nuanced discussions of camera flaws are met with vicious defence. Cameras aren't perfect. Bad design is inherent to all cameras. Some people don't care. Others do. Wow the Fuji fanboys are coming out of the wood work. Funny because I was talking about current MF cameras in general. I didn’t say anything about Fuji specifically. Inferiority complexes abound though. It’s that ego thing I was just commenting about. 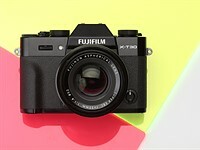 I will be laughing my socks off, if Fuji cripples their new GFX100 with xTrans CFA. How in the world do you get the idea that Richard doesn’t want a person to buy a GFX? Well ... maybe because I read his reviews, editorials, comments and writings. He is a very good writer and I like him. He is passionate about cameras, which is rare for a young guy. I admire that. He is going to come around on Fuji. I can't wait to read his review on the camera that I should not buy but no doubt will - the 100MP Fuji Beast when it hits in June. He is going to surprise us. I have confidence in him. He is going to step up his game. He provides pretty realistic opinions, which oppose the apologencia in the fandom. When I stepped up from a D800 to a Hasselblad CFV50c the difference was obvious but not huge. Then I changed from it to a GFX. Same sensor performance but much faster operation, so I sold my 1:1 MF CFV-50, whose difference was even more noticeable. But even then we are not talking about night and day. He difference between a D800 and GFX is much smaller than going from APSC to FF of almost any generation. It’s fair to be realistic and honest with readers even when personal feelings are enthusiastic. Honestly, and images near this out, the GFX is good but not a major upgrade to a good FF. Well Sir, we all may have our own opinions about Richard's opinions. I am confident that he will be fair and that he is upping his game as time goes by. We will see about that. I’m not saying they are the same. I’m saying that the difference isn’t big unless you get into large sensor medium format. The GFX sensor is just 60% larger than FF, where FF is roughly 2,25x size of an APSC. I think a lot of the hoopla has been that finally medium format is more affordable. When I used the Hasselblad, the back was at a minim 10.000$ and the cameras at least 3.000 and the lenses up to 10.000. 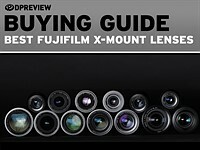 Fuji are much more affordable, faster to use, and approachable with simpler lenses and automatic everything. It is small medium format but medium format for the masses. There is placebo there: a larger sensor and the nomenclatire that few, ever, could afford. But differences in sharpness, quality of gradations, ISO, and dynamic range are marginal VS FF where they are much larger going from tiny APSC to FF. Perhaps going from M43 to APSC bets a similar minute difference. Shigzeo, we must agree to disagree. The differences are not marginal from the FF you describe to your description of "small" MF. And as far as going from Fuji APSC to your FF, I wish I could do a blind taste test with you on my studio rig. You would never spot the difference. So, your studio rig is the problem then? Get a better rig, Greg. Actually, viewing size makes all the difference. And mantras like "you have to look at large format images from longer distance" is BS. The truth is that APS-C can't provide the definition for comfortable and seemless viewing at any distance I want. But the question is - How can you not see any differences between the APS-C and FF, while at the same time making a big deal out of the difference between the FF and 44x33 pseudo-MF? You are making no logical sense. And such hypocrisy seems to be very common among Fuji worshipers. I’m not hating on Fuji, I’ve used them since 2013. I say that because I’m not an apologist for any gear I use. I have serious problems with every camera I have. I use the X-H1 back to back with an SL and GFX in the studio with the same light and controlled for DOF and every time I move from the H1 to the SL (not known as the best FF) I’m shocked at how much noise is there. The same goes for the 80D which I just picked up. And the SL is a marked step down from the D850. The GFX, in ever controlled test I’ve seen is better but just barely. Now, you may love it. I sure as hell appreciate how much faster photography can be with it rather than a digital back and slider for a Linhof M679cs, but better with no margin for placebo? Certainly not. It’s a great camera but it’s not an imaging god. "It's not an imaging God." I like that. One of the great all-time DPR quotes. My 7-y.o. PC handles 50mp RAWs pretty well. Not too fast though :). Exporting 5DsR image to JPEG takes a few seconds. Literally, 3-5sec. Kind of slow. There's a well known computer building secret - Never use just barely good enough components and avoid weak links. What's your display panel? ecka, I build my own gaming rigs and went very high-end on the last build so have a lot of computing speed and power, but for photo editing one does not use the high-end gaming monitors... I use a ASUS ProArt 32 inch 4K, which I bought 15 months ago for about 1300 bucks, which was amazing back then because that monitor was a major price-barrier and capability break-through at the time. It is a really good even 15 months later and still on the market at around 1250 bucks. If you haven't edited or at least viewed your images on a high-end pro 32 inch 4K monitor, you don't know what you are missing. Especially w MF. These kind of pro monitors will become much more common with photographers now. The high-end 4K pro editing monitor tech is getting cheaper and more commonly available to all now. More photographers will benefit from it. It is what makes our expensive cameras so noticeably better than phones. Medium format for portrait and landscape, APSC for wildlife etc, smart company. And FF for forum debates. It worked, you got one to look. I’m just curious why this Fuji is labeled mid priced medium format? Is there a cheaper digital medium format platform available? The 645d msrp is much higher. This site insists on msrp for price comparisons. To each camera, its own use. This is the kind of a camera with a "slow hand". To those that should with a slow conviction. As in the day of film and large view cameras. They where not able to shoot well at 3 to 5 frames per second, messy ! Exactly. There are a lot of us who like deliberate, considered photography. This sort of camera has a lot of appeal for that sort of work. The GFX has its strengths compared to those FF cameras. Wow, another "photographer" here who does not get it. It is interesting how much sharper the GFX 50R eye in the studio portrait shot is compared to the Nikon 810. And F8 is certainly not the highest resolving F stop of this lens. I would like to see a shot from a roof with the highest resolving lens from both systems at it's best F stop for comparison. Do those who know what this camera is and what it can deliver really need to read reviews on here? Are they influenced by comments about it not being so good for sports? Thought not, next! Of course not. But it really bolsters FF sales and warms the cockles. I don't think medium format is the camera makers' salvation. More and more of us serious photographers are shooting with our iPhones. 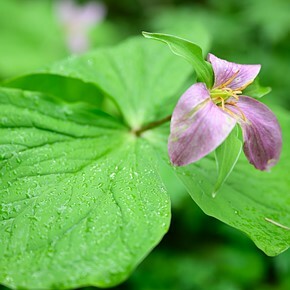 Medium format has exceptional image quality - if you need it, go for it. Most of us don't need it. Lens are few and slow and expensive. Still need another system for wildlife and sports and macro and candid street and spontaneous and trail running. I am very happy with a full frame DSLR/ML type camera. Images are stunning. I gave up medium format because it was just too cumbersome. 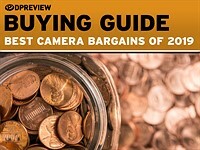 I do think Fuji has an excellent camera and have positioned themselves brilliantly in terms of price. 1) You have to want to push huge DR, no average FF level DR will do. When is this shooting situation? It's the only one that FF can't do as well for less money. It's... a band... in a club... with the camera braced against your... table... and you're close so you can't lose focus on the drummer in the back. That's all I got. Anybody? 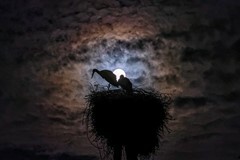 No 4K, No IBIS, can not push the shadows 12 stops and $4500??? What is Fuji thinking??? Also there are no pro lenses. Pro photographers need F0.9 zoom tele lenses with proper lava and nuclear fallout protection. LMAO...it just shows what the people now think that it is all about neat specs, fast speed, extra bells and whistles and is what everyone needs. I'm glad I shot MF film and Large Format Film and know what a MF does in the end game. Let them stay in their world, Im just passing through. Apples vs Oranges. 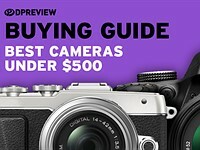 I've followed you for many years, and it looks like your opinion on camera equipment turns around depending on the name of the camera company that provides you with free equipment, at the moment it is Fuji. You opinion is far from being objective, auto-focus speed is what it is regardless of the format. The Pentax 645z has much faster autofocus than the GFX50, but Pentax doesn't buy you anything so we already know your conclusion. That's true. Pentax is better in so many ways. But hey, if I ever did have an opportunity of being sponsored by Fujifilm, I would be honored for the privilege. The GFX50S/R have merits but it's not autofocus. Of course, it is Autofocus. It has 425 AF points across over 90% of the viewfinder. Now, Ben … lets not pretend that you can possibly know more about photography than the all the armchair gurus and expert journalists on DPR. Step aside and bow to their superior wisdom ! Hi Ben, what I most enjoy about your work is the creative vision, something that often gets overlooked when discussing technology. Will the GFX system replace any of your current systems? 10 years ago, price gap of different camera segments was huge. When you compare image quality, it was more obvious than it is today. Only professional photographers used to buy FF or MF cameras; but today this is not the case. Pros know what they need, so they don't even need to compare FF cameras with MF. But enthusiasts started getting into MF (thanks to Fuji and Pentax) and they do compare two systems side by side. I think this is why DPR prefered to mention half empty parf of the glass. Because if you are pro, then you already know that, this slowish AF of this Fuji is actually fastest among the MF cameras. Arrogance doens't work well as argumentation. The fact is, the CDAF of the GFX50R and S isn't fast with decent lighting and struggle very much in dim light, and your 30 years as photographer won't change it. The Pentax 645z using the same 50Mpixel sensor can focus down to -3ev, it works much better then the GFX50S/R. So, Benjamin, you say that the GFX50S/R has the fastest auto-focus of all medium format cameras, this is not true, your 30 years of photography won't change that. Sometimes in live we have to recognize when we are wrong, making mistakes is human. If the image quality was in a completely different class from that of the latest Nikon full frame cameras, it might make sense to make excuses for the focus speed. But that isn't currently the case. The optics are very good and the slower focus ensures very high precision (which we highlighted), but we're not going to pretend it lives in some far-flung universe, too distant to compare. The fact Fujifilm has promised phase detection in its next GFX body suggests it thinks the format can do more. I have nothing but respect for your talent and your photography, but I'm going to have to disagree with you on this. I was once suspended from DPR for a week by the Fuji forum mod because I insinuated that Ben was shilling for Fuji. I feel quite vindicated now. @thenoilif in fairness, that Fuji moderator you speak of runs that forum like the gestapo. Anything negative said about Fuji, or that goes against his line of thinking and he drops the hammer. I’ve been a DPR member since 2007 and the only time I’ve been suspended was due to him as well. I’m not sure how he hasn’t been removed from his position, that subforum has become a toxic echo chamber. I love Fuji and I won’t even go to that subforum anymore due to his behavior. LOL - I guess ego IS the most important thing in being a ‘professional’ photographer. You’re wrong. I also like how you try to ‘prove’ your inaccurate and egotistical statements by pointing out how many AF ‘points’ it has. I guess you don’t need to be intelligent however to be a ‘professional’ photographer. Just amazes me that autofocus is even an issue. Heck this is medium format--you don't use it to shoot wild life or sporting events. @ David - Sure. BECAUSE the autofocus is garbage (or at least only fine for purpose). Should reviews make assumptions about usage or should it provide information that informs potential buyers that it lacks in certain areas and then buyers can make up their own minds whether that is actually important to them? Making excuses based on how poor performing they are doesn’t justify their poor performance in this area. There is no excuse. Its all good, lots of choices MF, APSC, phones, 35 mm, m4/3, all are used by pros and enthusiasts. Nothing to complain about, so buy what suits your needs, and go out and make some photographs! All I get from these comments is that DPR should really put up a nice logarithmic format graph to show people how area difference translates into stops. People are losing it. 36x24 is very close to 44x33, closer than it is to 23.4x15.6 (non-canon APS-C). Fuji's 0.79 crop factor inverse would be slightly closer to FF than APS-H let alone APS-C. Yes, you should see much more difference between APS-C and FF than you do between FF and 44x33. FF and APS-C have more than a stop between them. Yes, people commented back in the day that the move from APS-H to FF was pretty small (about as small as this Fuji's advantage). Yes, people commented that using FF lenses on APS-H didn't cost much. No, this isn't comparable to the gap between APS-C and FF, or between APS-C and m43 or something even smaller. Canon made high end APS-H sensor bodies for a while because FF was too slow for pros. Is FF's speed over 44x33 really that hard to relate? It's the same as m43:apsc essentially. Yes, very close to M4/3 vs. APS-C, which is a small difference. I can post images from my iPhone every bit as good as these posted online. No, you can't. Zoom in. Look at the details.. no phone can do that. You're right! Preview galleries all look alike. True. The gallery is terribly poor and tells nothing about the camera. Sure. First email images taken with your late-model FF ILC to your IPhone and then post them to the internet directly from your iPhone. I would really like to see Fujifilm design a camera that doesn’t look all retro. It’s getting a bit played out. Even Leica tries to evolve with their designs. Leica targets a very different market. Retro??? This is just a simple, logical and maybe slightly dull design. It's completely modern and functional. Personally, I buy a camera to use, not to put on a shelf and categorise it's styling! It would be nice if DPReview could include the lowlight focusing ability of the camera. Is it -2EV? 0EV? The most intriguing thing Fujifilm has said, IMO, is that it's lenses are designed for a 100mp sensor. Does that infer that if FF ever reaches a 100mp that it will have surpassed the resolving power of the existing glass? I would be curious to see a sampling of GF lenses tested against the premium offerings in the FF segment, preferably on a 100mp sensor (like Phase One, yes I know it likely won't cover the sensor). The way to do this is to use a small sensor not a big sensor. If you want to see what the fuji lens looks like at 100mp, you find a modern sensor with the desired pixel density and move it around the len's field of view. Some real life samples from the GFX50R here. I wish you good luck to achieve this level of IQ with FF cameras. I wish you good luck in getting Porsche level performance from a Toyota Avalon. Comparisons are only relevant on the same level. I do agree with you. But some people on this board are just a bit clueless, and yes, I own the GFX50R. I was shooting birds yesterday and I would have been laughing at your cumbersome GFX. What do you have on your medium format camera that can reach like my 500mm can ? Oh nothing well there you go let’s see what the image quality is like after you crop to get the same shot. Well that is if your dog slow AF can even get the shot. If you shoot birds with a MF camera, then you are in the wrong business. Try again. Foto64 just does it all with his iPhone. My eyes are watering. I think I could get close to one of these with my K-1 and very best lens, but why settle for close? Very nice! Some wildlife photographer shot wildlife with 35mm lenses. 500mm is when you are not far from beginner level. pentaust, I just started reading my third Art Wolfe book last night, and I'm pretty sure he would disagree with you about 500mm lenses. with micro43 you can easily go to 800mm and with the Nikon P1000 you can go to 3000mm. So what? Pentaust, if you're responding to me, and I'm not sure you are, I'm referring to the usefulness of 500mm (or more) lenses for wildlife shooting, That seems, admittedly, pretty far afield from the merits of MF cameras, but I understood your earlier comment to mean: "Only beginners would use a 500mm lens to shoot wildlife." If that's what you meant, I think there are a lot of wildlife photographers who would disagree with you. I wish we’d go back to discussing “equivalence” instead of the nomenclature for sensor formats. Equivalence arguments and precise naming of what is medium format or not is artistically relevant. Very artistically relevant. "Today we have naming of parts." If for some reason I wanted to concentrate or landscape, this would be the camera for me. 50MP, 4:3 aspect ratio, better dynamic range, better colour rendition, what's not to like, price and size maybe. So how much for a donkey these days? I like the camera a lot but I don't agree that a 4:3 aspect ratio is the best for landscapes. A 3:2 or wider is better IMHO. Still with 50MP you have plenty of cropping capability. I thought that too at first. I didn't know what to do with the extra space up and down. However, I've now gotten used to it and love how 4:3 increases one's perspective up and down, more clouds, more foreground. It's what one gets used to. I now find 3:2 too letterboxy, too squeezy. Yes, our eyes are set horizontally but they do move up and down. Of course, if you are doping a wall mural then perhaps 3:2 isn't even squeezy enough. I also find 4:3 (or rather 3:4) more natural for portraits. @ BobT3218. I agree that 4:3, or often better 1:1, is preferable for portraits but if I shoot landscapes with 4:3 I do miss the longer view of 3:2. The eyes move to take in the expanse of the scene. The 4:3 point and shoot's that I used had two problems for me - too much DoF for subject isolation and too square for landscapes. In my view, the answer to the format issues is more MP and good lenses which provide the flexibility to crop to any format and still have plenty of detail in the image. I come from the darkroom era and I always thought that the main advantage of using a darkroom, apart from producing a print, was getting the optimum crop from the image. Some photographers say that they never need to crop but not me! Now on my computer, cropping is still an essential step which I don't want to do on the camera's back LCD. Not so good for: "Photographers of sports and action who need good continuous autofocus performance, and those looking to shoot video along with stills." Ummmm... really?!? Fujifilm didn't even design the camera for those applications. While you're at it, please add that it is not suited for vlogging either. Ferrari did not design its cars to just go to grocery stores, but I have seen some in front of such stores. DPR reviews do often come across like hammering a square peg through a round hole. Buying any product based on a single criteria can by philosophically justified, but could be such a waste of money or product potential : e.g. that $10 veggie burger tasted almost like real meat, I like Pentax equipment because I can use it in any weather, but I only go out when it is sunny, I use my Fuji GFX50 only for landscapes, because it has the best IQ for that. I think it's really interesting how well the Canon 5Ds R holds up to the Medium Format when it comes to image detail and resolving power. The 5Dsr, you mean that thing that got knocked out of the ballpark by the D810 and the D850? For a moment there I completely forgot the 5DS/R existed. The Olympus M4/3 high Rez mode did , all things considered, a good job compared to MF. Not to say it was as good or as usable in High Rez, but it makes one wonder if Format will be so relevant going forward? Michiel... Verto is talking about resolving power. Go and see Tony N comparison between D850, A7R3, 5DSR with their native 24-70mm F2.8 lens. the 5DSR with an older lens i.e. the the Canon 24-70mm F2.8 actually produced much sharper and more detail images compared to D850 and A7R3. Vignes: It was not a serious comment. I admire and respect Canon DSLRs, particularly the 5D series. I do think though the DsR missed the mark a bit. 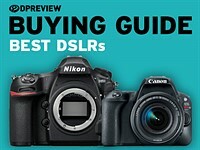 The D850 is a true allrounder, the DsR isn’t. Indeed the Handheld HiRes mode on the EM1X is seriously astounding. With the Original HiRes mode you get colours that are better than Medium Format since the bayer array is gone. The handheld Hires doesn't have it but the IQ out of it when it comes to detail is stunning…. I wonder how the Panasonic FF HiRes modes wil fare. They have a built in algorithm that at least tries to eradicate movement. If this process can become much faster and walking people etc are not a problem anymore this becmoes really usable. Also of course long exposures are no problem and I have heard that hires mode does some strange things with the bokeh. Which Panasonic at least should be able to solve. Just add the single shot background., You need no sharpness there anyway. Makes me wish Fuji would have just planted their flag in the middle of APSC and this so called MF. Good stuff but wrong format equals not good stuff. With a sensor only incrementally larger than FF and virtually no meaningful IQ difference, the poor man's XD1 GFX 50R embodies faux MF at its finest. Grapes are sour when out of reach. Someone is a full frame fan-boy. Thanks for re-iterating what DPR has shown in the past. Sometimes the grapes are actually sour and expensive. You win “ dumbest comment award “ of the day .. I could easily afford this camera, but unless this review is a pack of lies, where is the objective evidence of superior performance? The fanboys are thick in this thread, but it's not the FF fans. The X1D is a different story. @Chris I have both a GFX and a A7r III. I actually bought A7r III five months after I bought GFX 50S because I needed a camera which can do my commercial works and also other that needs a faster camera, so I am not a Fanboy_ of any specific brand. I also use a Sigma sd Quattro and a Pentax K-1. I'm far from being a Fanboy_. But I use them, and I can see the difference. I use GFX for ultimate IQ, and A7r III for speed. Sigma because I wanted a Foveon sensor camera and I sometime use it and Pentax K-1 very rarely now. Maybe close to FF in terms of size and sharpness but those Fuji tones are hard, if not impossible to beat. There's not one single bad image in this gallery. After downloading and testing them, it is IMPOSSIBLE not to make them shine in a few seconds. Agreed!! Only if you are FF affiliated then you will find faults with Fuji GFX. Really? 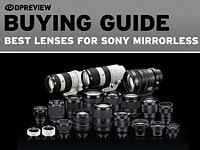 No Pentax 645Z in the "How it compares" section? Anyway, it looks terrific and really shines in the studio. And you can get some superb landscape lenses for it. So of course I'd like one! Yep. The 645Z and the X1D are the first two logical comparisons to make, everything else is for grins. I guess the 645Z suffers from being too Pentax. Lol Jack! Don't worry, I'm a happy Pentaxian! As this camera has the same sensor as 645z, I believe so it should produce almost the same images (in RAW). Not even in the same league with X1D on colours. Hasselblad profiles every individual sensor to its camera so it comes out of the factory with half-gig of profiling data. While this Fuji is a lovely camera it still colorises the images. Not worth savings IMO. ... I've played with RAWs a bit and honestly it's just bad compared to X1D. Only the resolution is the same while the colours are poor and lack richness and variety, and also the noise levels are quite high even at low ISO. I believe everyone who had a chance to edit X1D files would go for a second-hand X1D over this with no hesitation. It's just night and day difference. 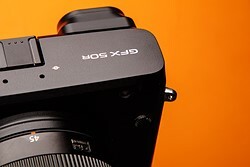 The X1D was so good they discontinued it already. @Sannaborjeson And each hasselblad lenses are like $1000-$2000 extra compared to Fuji. If you learn to tune the color to a profile you like, you will save thousands. I have tried both, and I like both their colors, but you sound like if X1D is a medium format camera, then GFX is a pocket camera. Manzur Fahim which only means you never worked with X1D files. I have one and totally agree with Sanna. This Fuji is good no doubt. But the X1D is just a completely different species of camera. Its native 16 bit colour, sensor calibration and built-in HNCS profiles do incredible job. I wish you could "to tune the color to a profile you like" and get a simila result out of this Fuji but no, you can't. waiman precisely, and registered X1D mkII. @TdMil I have had X1D for three weeks, and I like the files. I never said they are bad, but the difference is very minimal. And if you do a little research, the sensor is same on Pentax 645Z, GFX 50S, 50R, and X1D, and it is a 14-bit sensor. Hasselblad added the extra two bits of empty data to exercise the same delivery as they did before. Where a sensor itself is 14-bit one from Sony, claiming it to be a 16-bit one is just false marketing. Same impression. Played with the RAW samples and they just feel like usual hi-res full-frame files. While the H5D and even X1D just blow you away with their deep clear colour. @Manzur Fahim "If you learn to tune the color to a profile you like, you will save thousands" — likewise if you start exercising and become a marathon runner you save tens of thousands on car and public transport. True. They are hardly in the same class. 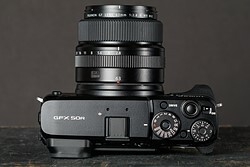 But I guess the Fuji's point was to make this kind of sensor format more affordable which they did. 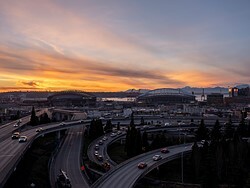 When I first had a chance to shoot with X1D and then opened a 3fr file in Lightroom I was truly blown away. At that time even after 5DIII the hassy colors turned out to be far beyond my expectations. 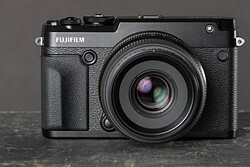 While this Fuji renders as a normal camera would do, more or less what I expect. Is the difference worth the premium? That's everyone's free choice. X1D II coming out shortly ? I really, really want to love this camera (on a superficial level, I think it's beautiful), but it's so close in IQ to the full-frame mirror-less models that I have a hard time justifying it. I'm really excited for the future of this mount, when Fuji starts putting more cutting edge sensor designs behind it. 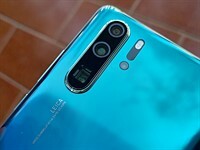 As it stands, you're using bulkier, slower, more expensive glass on a less sporty body...to get image quality that is slightly better in some situations. I would love a camera (and lenses) like this but, alas it is not for me. Great piece of equipment and Fujifilm has a great strategy with Medium/APS-C formats as their large/small camera systems. In the film days, 35mm camera bodies had almost no impact on image quality. You could put your favorite roll of film into any camera from a plastic p&s to the most expensive pro body. Ultimately, the only thing that made any difference in image quality was the quality and character of the lenses. In the digital era, without film being equal across the board, manufacturers (and reviewers) have made a big deal about differences between sensors. At this point, nearly any modern digital sensor can produce exceptional image quality if you know how to use it. Unless you're working with the most extreme scenarios, it hardly matters which sensor you have under the hood. So we're back where we started. Choose the camera body you want based on features, ergonomics, and most of all, the quality and character of the lenses actually projecting the image onto that sensor. JPEGs are a perfectly "cooked" raw file (not for everyone, I understand). So for me I now spend much less time in lightroom, and much more time taking pictures. So call it what you will, but while the playing field is level for sensors, the default camera output is not and for some this may be a deciding factor. The problem with "cooking" is that someone could easily write a RAW-JPEG program to accomplish the same thing. No magic technology here. Fujifilm GFX 50R vs full-frame: how big is the difference? The Fujifilm GFX 50R is the most affordable medium format digital camera ever, but how much of an advantage does it offer over the best of its full-frame mirrorless peers? We shot it alongside the Nikon Z7 so you can decide for yourselves. 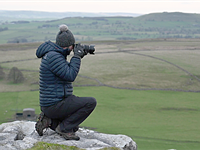 Photographer Nigel Danson recently had a chance to use the new Fujifilm GFX 50R for one of his landscape shoots. In this video, he shares his thoughts on the benefits and challenges of using a medium format camera like the GFX 50R for his work. 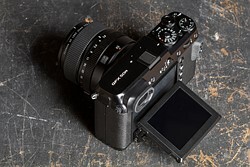 The rangefinder-styled Fujifilm GFX 50R has arrived, and we've taken our pre-production model to the mountains and back to see just what it can do.